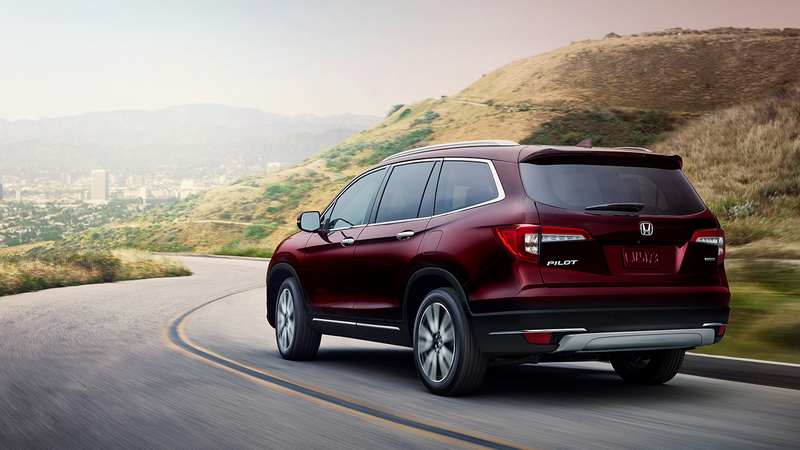 The 2019 Honda Pilot Available in Everett has received new styling and more technology for this model year, featuring a more aggressively-styled front end, as well as a new large single-bar grille. The infotainment system has also been upgraded, and both Apple CarPlay and Android Auto are now supported. The 2019 Honda Pilot Available in Everett is powered by a 3.5 liter V6 engine throughout all trims, which puts out 280-horsepower and 262 lb-ft of torque. A six-speed automatic transmission is standard for the LX, ES, and EX-L trims, while a (upgraded) nine-speed automatic transmission is the chosen equipment for the Touring and Elite models. The nine-speed has also been upgraded for a smoother start, and has terrain select to make starting off on rougher ground easier. The 2019 Pilot can tow between 3,500 and 5,000 lbs (the latter number is for the all-wheel drive model, the former for the front-wheel drive). If you want to make your Pilot a little more luxurious, you can opt to switch out the second-row seats for two captain’s chairs, reducing your capacity to seven people but also adding a bit of comfort. The 2019 Honda Pilot Available in Everett is trimmed with high-quality materials, and comfort and atmospheric features include a panoramic moonroof. Standard features include a touch screen audio system, Bluetooth connectivity, and cruise control. If you need to keep your passengers entertained for a long stretch, you can opt for the DVD entertainment system or the satellite radio option. An upgrade to the audio system is available in the form of a 540-watt ten-speaker audio system. It’s also possible to upgrade to a larger eight-inch display system and a seven-inch TFT screen. Wireless smartphone charging can keep your phone charged without the need for wires and cords, and the optional 4G LTE WiFi hotspot can help keep you connected. 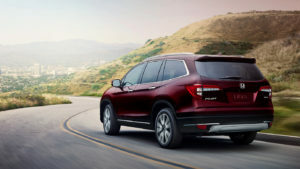 All models of the 2019 Honda Pilot Available in Everett now come standard with the Honda Sensing suite of safety features. These include adaptive cruise control, automatic emergency braking, lane-keep assist, and lane-departure warning. This helps bolsters your feeling of security in the already-reliable Honda Pilot. 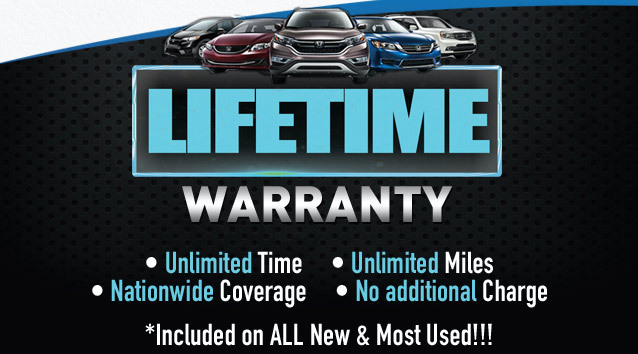 For more information on financing your 2019 Honda Pilot, get in touch with Klein Honda of Everett. Call us or use our online form to contact us. You can also browse our inventory and apply for financing directly through our site.